The word itself gives a glimpse to us that it is about the signature on a document. From quite a long time, because of the expanding businesses and upcoming advancements in technology in every field, there has been an awareness of being eco-friendly. 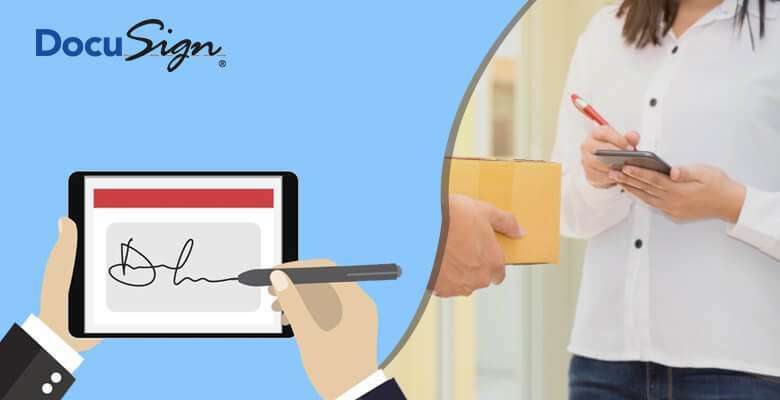 Indirectly, the invention of DocuSign has proved to the world that people can aid in preserving the environment through basic paper saving strategy by digital means. Now, a question might pop up in your mind, does it only help in saving the environment? Considering the business as well as personal use, let’s get started with – What is DocuSign? Practically an eternity in the tech world, DocuSign is helping to ensure that people don’t have to drive all over the world just to sign some documents. Since 2003, it has been providing digital transaction management services for expediting electronic exchanges of signed documents. Coming to the year 2018, DocuSign has acquired approximately $220 million since it started to begin sales in 2005. DocuSign caters to the need of professionals by helping in assembling documents, securing data, and authenticating one’s signers. This has been a prominent reason millions of people are relying on e-Signature platforms to make their transactions easier. So, this was a brief introduction to DocuSign. Before diving into How does DocuSign Work? here’s a look at how DocuSign evolved itself and became the most powerful force in the industry. Initially founded by Court Lorenzini, Tom Gonser, and Eric Ranft in 2003, the original concept behind the startup came from Tom Gonser while he was serving as a CEO in a self-owned company, NetUpdate. Amongst several companies, Netupdate acquired an early stage e-signature startup called DocuTouch. Though holding multiple patents for online-based digital collaboration and e-signature systems, it did not have enough material revenue. To turn his idea into a success, Gonser bought DocuTouch’s assets from NetUpdate and started DocuSign. The startup began its sales from 2005 where ZipLogix was one of its first customers. More companies got engaged with the startup, after the process of proving the legal admissibility of documents signed with DocuSign and testing the authenticity of the service’s encryption. Earlier headquartered in Seattle, DocuSign opened its office in San Francisco in the year 2011, which became the global base. The company also opened its office in London in the same year and plans to expand its base in other parts of the globe as well. To reflect the functional growth beyond just signing, DocuSign began referring to its service as “e-Signature Transaction Management”. The company also added support for iPhone, iPad and phone-based user authentication in June 2010. To allow the users to apprehend signatures and payments in a single transaction, DocuSign lent hands with PayPal and signed an agreement in April 2012. Similar partnerships with Salesforce.com and Google Drive were made before the PayPal agreement. In 2017, the ranking of DocuSign on Forbes Cloud 100 list was at position four. While in July 2018, the company acquired a cloud platform, SpringCM for $220 million. 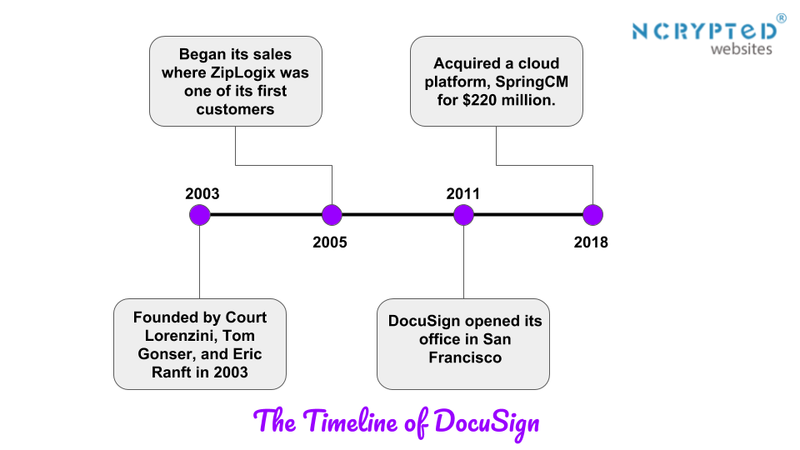 So, this was all about the history and evolution of DocuSign. Now the question arises How does DocuSign Work? Let us understand that. Focusing on How does DocuSign Work, the primary feature of this e-signature platform is sending and receiving secure digital signatures. It offers a secure, easy-to-use, and an excellent blend of convenience and efficiency to electronic signatures. DocuSign provides you with an easier way to build your e-Signature documents with the help of templates and drag-and-drop editor. The basic process of getting started with DocuSign goes like this. Firstly, the user registers himself where he is able to manage his documents, once he has been successfully logged in to the account. The user has the liberty to choose or create his signature mark it as final one for performing further exchange of documents. Furthermore, DocuSign consists of some more features other than the basic ones, to aid the primary function of making signatures easier. Using the solution “System of Agreement”, the DocuSign platform allows you to automate your approval and agreement process. It helps in digitizing the messy paper trails and making the entire process electronic. While talking about convenience and efficiency, there could not be a better example than DocuSign. Including the payment feature, it enables the user to sign and pay in a single step through various cards, bank account information, etc. Mobile applications for DocuSign have made signing and creating documents all the more convenient and easier. In real estate and sales, people can create and exchange documents for signing process on the go. To make the platform more compatible, the integration list of DocuSign includes expected apps like Apple, Google, SalesForce, and many more. It has integrated with over 300 other apps so as to provide a framework that you already have up and running. How does DocuSign Work for Individuals? Looking into How does DocuSign Work for Individuals, they can easily upload a document to DocuSign, drag and drop their e-signature (place text, date fields, checkboxes and many more) and then send the completed document via email, Dropbox, drive etc. How does DocuSign Work for Small & Medium Businesses? Small and medium businesses can use DocuSign in order to track business process by sending reminders to recipients, view audit trails and even users can simply upload documents and create the templates which are reusable. Therefore, it can be used by the employees easily. Moreover, in the small and medium businesses, there is a payment feature, wherein user can collect signature and payment in one step. How does DocuSign Work for Enterprises? Moving towards, How does DocuSign Work for Enterprises, well there is a long list. On top of the above features, I would like to highlight some of the fascinating ones. It comprises advanced form and field validation capabilities to automate business logic and also helps in assigning different recipients for different roles and giving them access beyond just signing permission. Furthermore, it helps in services such as Payment processing, DocuSign e-notary, document centralization, and reporting. How does DocuSign Make Money? Well, DocuSign does not charge recipients to sign a document or complete the transaction, but it makes money through membership plan for individuals, small and medium business as well as enterprises. Also, it is used by different fields such as financial services, healthcare, government, manufacturing, insurance, communications, retail, and nonprofits. Special membership plans are offered for such realtors. Individual – It charges $15 for a month, or $120 for a year and allows the user to send five documents for signature per month. Professional – It charges $30 for a month, or $240 for a year, per user. it allows for unlimited documents per month along with company branding and shared templates. Business – It charges $40 for a month, or $360 for a year, per user. It also provides signer authentication, data validation, and recipient permissions. Business Premium – It charges $150 for a month, or $1.500 for a year, per user. It provides with features to get documents signed on-demand from their website, the ability to send the same documents and hundreds of recipients and premium support. Enterprise – It charges a cost based on the individual company. Also, it comprises features such as they can get an account manager, offline sending and signing, customized document sending capacity, and API an application integration. The company generated revenue of $167 million for the July 2018 quarter. According to the CEO, it added more than 25,000 customers, bringing a total of nearly 430,000 customer base. Looking at the investors of the company includes Google Ventures, SAP Ventures, Iconiq Capital, and many more. This was all about “How does DocuSign Make Money?”. Thereafter, we shall walk through DocuSign Business Model to get in-depth knowledge about DocuSign and its working. The world is moving towards smartphones where the work gets done on the go. People need a way to easily sign and return documents, irrespective of their location and time of the day. Being a San Francisco based company, DocuSign uses a freemium model to attract its customers. It allows the users to securely exchange signed documents anytime, anywhere, on any device. The customer value proposition of DocuSign includes the improved speed and a secure transaction of signed documents. Also, it eliminates the hassles and costs associated with the signing and exchanging of documents. DocuSign also offers its users a 14-day trial so that users can intuit the value of the product before its purchase. The freemium model serves as a highlighting property for DocuSign because the free-trial is used as a marketing tool to attract more customers into getting subscriptions. Furthermore, by offering upgraded features for different pricing tiers, the company is able to draw out more value from its customers possessing different needs. It is clear from the numbers that the company possesses an extremely effective value capture model. e-Signatures and documents are legally binding for almost every business or any personal transaction around the world. Docusign allows you to electronically sign documents while outpacing the requirements of the ESIGN Act and the Uniform Electronic Transactions Act in the US, in addition to other national laws and acts around the globe where e-Signatures are recognized. With over 150 million signed transactions, e-signatures of DocuSign have never been challenged in any court, worldwide. The company stands behind its customers in the event of a legal challenge to one of its e-signatures. What are your views about this blog “How does DocuSign Work?”. Let us know what you think about this freemium model in the comment section below. 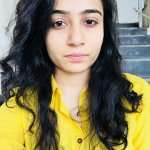 With the urge to write, Pankti is a proficient content writer having a special knack of learning from all verticals and imbibing it into her writing. Her educational background creates a balanced blend of analytical and creative qualities, making for a pretty good skill set. 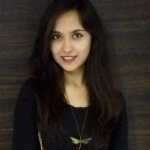 Hi, I am a Business Analyst who likes to read, deep dive and write about online startups and business models of different categories, that gives clear visibility of different concepts which are on demand.